It now appears that a faction of the Karmi Sena recently withdrew its opposition to the film and is now promoting it, according to the Times of India. Indeed, there are no scenes featuring Padmavati and Alauddin together beyond a brief scene in which he catches a glimpse of her face obscured behind a cloud of smoke, and the film extols the aristocratic warrior virtues of the Rajputs. Ratan Singh is portrayed as a stoic warrior and a wise ruler and Padmavati as a paragon of loyalty and courage. A Rajput is said to be one who “braves any situation,” “dares to walk on burning embers,” and “fights the enemy till the last breath.” Padmavati exhorts her people to “defend the pride of the motherland” and fearlessly leads the women of Chittorgarh to their deaths at the film’s dramatic climax. By contrast Alauddin (a hypnotic performance by Raveer Singh) is depraved, deceitful, and bloodthirsty almost to the point of caricature. 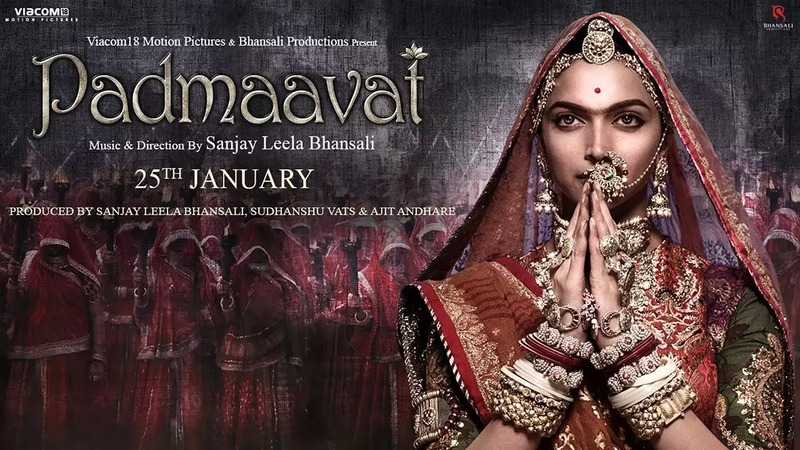 Like Bhansali’s other films (Devdas [see Trevor Lynch’s review here ], Bajirao Mastani), Padmaavat is visually stunning and the cinematography is breathtaking. The film ranks as the most expensive Bollywood film ever produced, and the sets are opulent and grand, ranging from palatial interiors to vast battlefields. In the battle scenes the camera often alternates between being close to the ground, heightening the intensity of the action, and high above, panning across sweeping landscapes. The costumes are also highly ornate.